Personal testimonials.- If you have a Midi Partner and would like to show your approval - let us know for inclusion here. 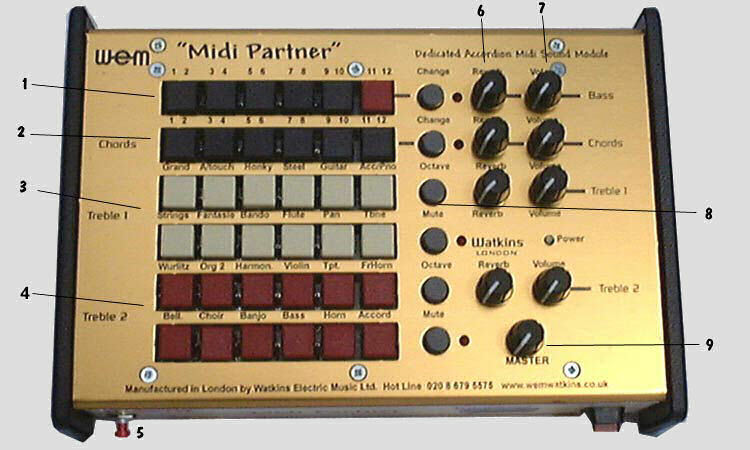 Watkins "Midi Partner" hits U.S.A.
Robert Pesek - website friend of mine got interested in my Partner when he heard the demo on our web site - that was in the days before we had perfected our drums . . . . . . He gave me a bad time. 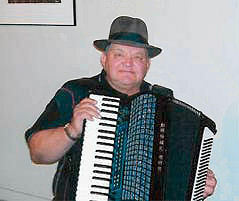 Trouble was, obviously a very experienced and talented accordionist he seemed to know what he was talking about. So I listened, I learned, and now I'm very proud and pleased to have this acknowledgement from him. It is entirely unsolicited. "Charlie. The Partner is working great! Every day I can't wait to play my accordion and the Partner enhances the sound so much I don't know how I got along without it before! There are still things I haven't discovered I'm sure. Every day is a new adventure for me. Thank you again - Bob Pesek." My little Partner's four years old now - It's my 20th. invention and, because I'm a bit of a pie eyed inventor, only four have been successful. This is now the 5th. and I am well rewarded to be getting bouquets from so many U.K. players at this time in my electronic career couched in the same terms as Bob's. Thank you all - Bob in America and all of you in the UK. 1.® Here are 11 bass sounds to give your fundamentals and counter basses more to get on with than they've ever been asked to handle before. The red button switches the top half of your bass level downwards for you to really move the joint - look out! 2.®Six buttons giving you a choice of 12 of the sweetest chord sounds you've heard. From Piano to strings via Choir and Banjo. All clearly labelled - just touch them! 3.®Bank of 12 switches offering your right hand their clearly labelled sounds. Piano / Honky / Steel Guitar / Strings/Bandoneon / Trumpet / Flute / French Horn and Trombone etc. I defy you to confuse one sound or one function with another. 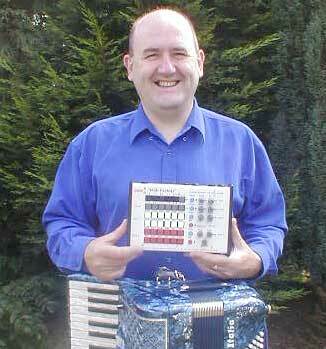 Touch the ‘Pan Flute’ button - Guarantee you'll get just that and nothing else - Pan flute! 4.®A further bank of 12 sounds from Theatre and Church Organs to Violin, Accordions, Banjo, etc. 6.®A row of "Reverb" controls for all the sections. 7.®A row of volume knobs for each section. Not illustrated: Set of 4 foot control switches. They enable you to change tones by instant foot switch without your hand leaving the keyboard. Selection is memorised so you power up next session with the same selection.